This coffee will be fresh roasted for you. 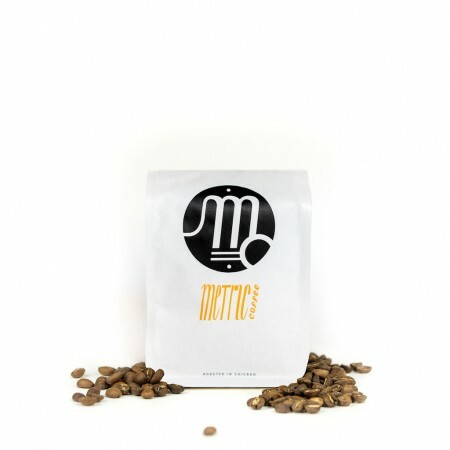 We expect Metric Coffee Roasters will roast and ship this coffee in 1-2 business days depending on their roasting schedule. The East Timor Ermera was carefully roasted for you by Metric Coffee Roasters. Grown by the various small holder producers in the Lauana region at 1,600 - 1,900 meters, this fully washed coffee is a perfect example of why we love coffees from East TImor. We like this coffee for its rich, creamy notes of dark chocolate with a delicate jasmine floral quality. Never thought about Timorese coffee until now. Chocolate? Check. A little floral? For sure. Maybe it was just this batch, but it was like the taste volume was turned down. I wish the favor was richer. At first I was getting too much of the jasmine tea notes coming through. Not a huge tea guy myself. But as I brewed in the following days, I noticed more chocolate notes, which I really enjoy. Overall, one of the best beans I've had. Great taste every cup every time. I'm obsessed. My boyfriend, who doesn't drink coffee and (novicely) makes me a cup every morning, couldn't screw this one up if he tried. It is full-bodied, earthy, chocolately, and all sorts of amazing. The body was nice, but flavor wise there weren't too many notes that popped out other than a light tea quality on the back of the palette. Probably good for more delicate tastes, but lacked the juicy citrus or stone fruit characteristics I usually look for. It's yummy. Would drink again. I love the rich, full-bodied chocolaty character of this coffee. It works well in my French press and Aeropress. Great start on the pallet but did not like the acidic finish.